I wrote quite a bit earlier in the year about water-saving, mainly because we had managed to reduce our consumption (and therefore our bill) by so much. However, I have to confess that I do like a soak in the bath sometimes. It’s not all about getting clean – I much prefer a shower for that – it’s about relaxation. Having a shower tends to be invigorating, but having a bath leaves me feeling warm and comfortable – just ready to curl up with a mug of tea and a good book. So, how do I square the two? Well, sometimes it seems important to care for yourself… your own mental and physical well-being. So, just as knitting has been linked to mental well-being and can have more positive effects than anti-depressants (1), I’m pretty convinced that having a bath can improve my mental and physical state. And that’s why it is sometimes the right thing to do. However, keeping in mind sustainability, I want to get the most out of the resources that I do use. Someone suggested to me a few weeks ago that we should try to make use of every resource for at least three functions. With the bath water, the three would be: cleaning me; improving my mental state; watering plants/flushing the toilet; and occasionally a fourth function of cleaning the dogs. 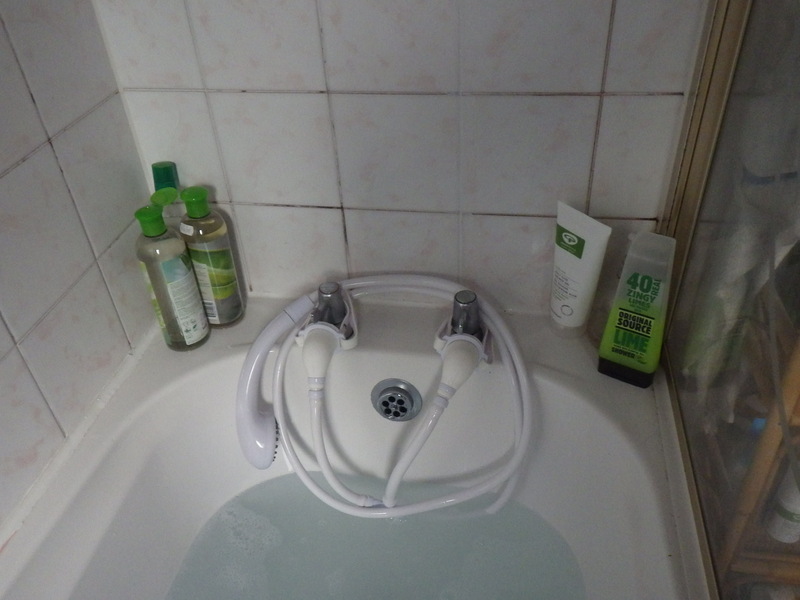 So, this afternoon, having spent a chunk of the day wrestling (unsuccessfully) with technology, I had a bath. And now I’m going to start knitting another snail… no wonder I’m feeling relaxed.